We may want "buzzy" for our restaurants and nightclubs, but when it comes to our island vacations, we're all about off-the-grid and under-the-radar. Here are 15 spots that have remained blissfully secret. Just off the coast of northern Sicily, this Aeolian gem is practically picture-perfect with its whitewashed buildings covered in fuchsia bougainvillea and narrow, romantic lanes made for strolling. (The island is car-free, so you’ll only be passed by golf carts, Motorino electric bikes, and Italian three-wheelers). Home base is the 28-room Hotel Lisca Bianca, which has a rooftop sushi restaurant and striking views of the ocean from its blue-tiled terraces. 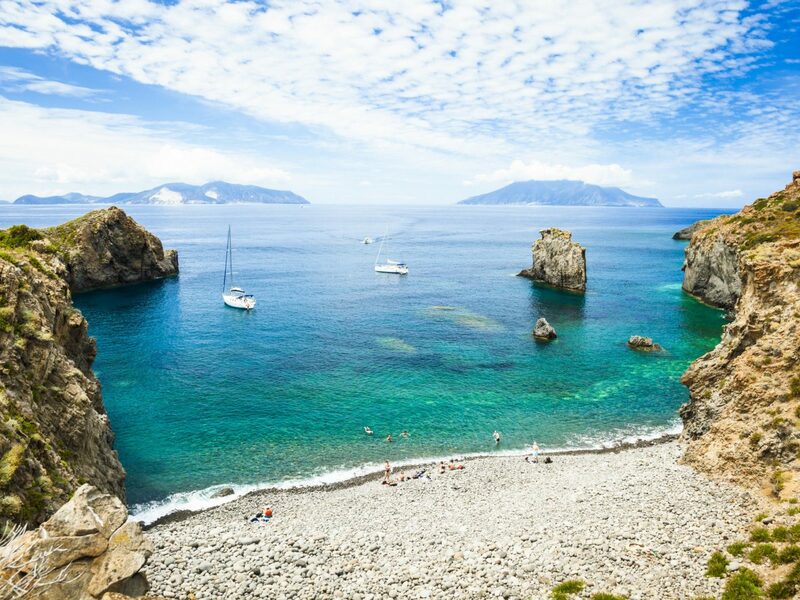 During the day, explore the island’s caves by barca and cool off with some granita (a slushy-icy treat) at Bar Del Porto; at night, head to the trendy Da Pina restaurant to tuck into plates of octopus salad, eggplant gnocchi, and branzino al cartoccio con agrumi (sea bass baked with zesty oranges and lemons). Then, toast with Sicilian vino and a killer vista at the family-run Trattoria da Paolino. 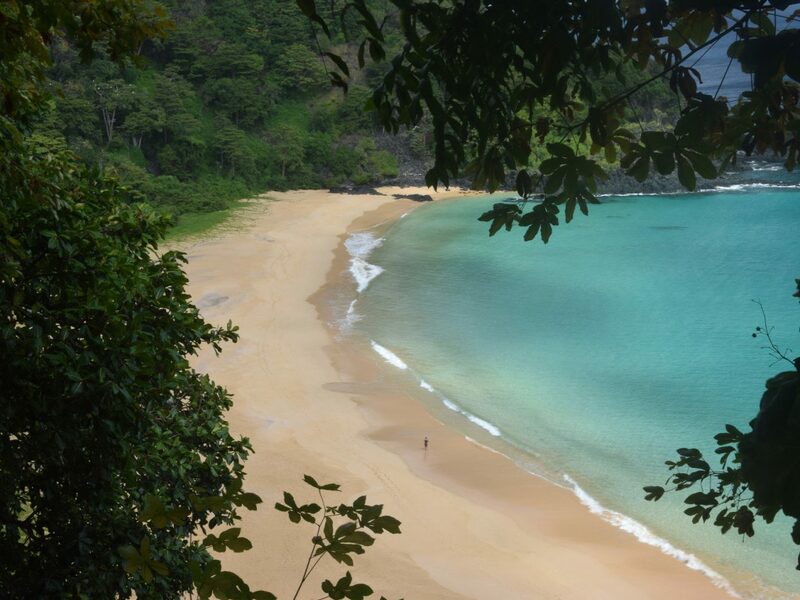 Mention Fernando de Noronha to any naturalist or ecologist and they’re sure to know all about this under-the-radar archipelago—it's one of the most fiercely protected natural environments in the world. In an effort to preserve the eco-wonderland, only 420 tourists are permitted to visit at any one time, but if you manage to be one of the lucky ones, book a stay at Pousada Maravilha, an intimate hilltop retreat with five bungalows, an infinity-edge pool, and panoramic views of the island's rugged landscapes. To experience the area's rich marine life, bring your snorkeling gear to Baía dos Porcos for the chance to glimpse turtles, stingrays, and whales. After, reward your efforts with a spicy bowl of octopus, shrimp, and lobster stew at Ecologiku's, where guests dine on plastic picnic tables in the garden of the chef's house. 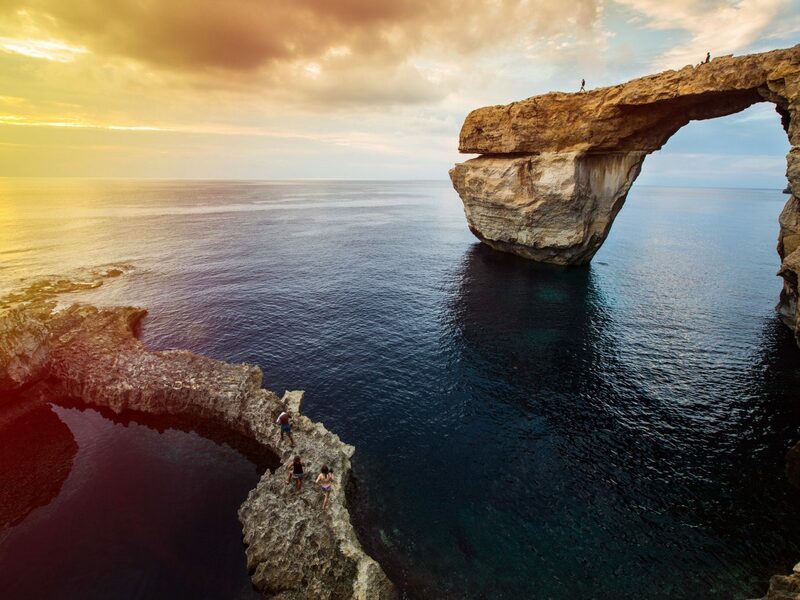 Off the coast of Italy, out in the middle of the Mediterranean, the quiet and impossibly green Gozo takes its place in a chain of islands that make up the Maltese archipelago. With rural fishing villages and idyllic bays, the isle is thought to be pulled straight from the pages of Homer’s Odyssey. Drop your bags at the Kempinski Hotel San Lawrenz where modern luxuries—namely an oriental hammam and ayurveda center—rest in the traditional countryside village of San Lawrenz. For an authentic Gozitan meal, the family-run Ta Karolina on the Xlendi waterfront serves up platters of local cheese and fish that precede mains like thyme and rosemary braised lamb shank and rabbit marinated and fried in garlic and prune sauce. Work off generous meals hiking around Dwejra Bay. An overwater bungalow is the only way to stay at this sparsely populated (and blissfully undeveloped) Filipino gem, and the thatched roofs at Apulit Island Resort more than fit our bill. The resort's cottages stretch out in a line through the turquoise surf of Taytay Bay, just as the island of Palawan itself reaches almost to Malaysian Borneo. Though most visitors bed down in the gateway city of El Nido, the real culinary scene is found in Puerto Princesa thanks to locally-favored spots like the bamboo-shaded La Terrasse. 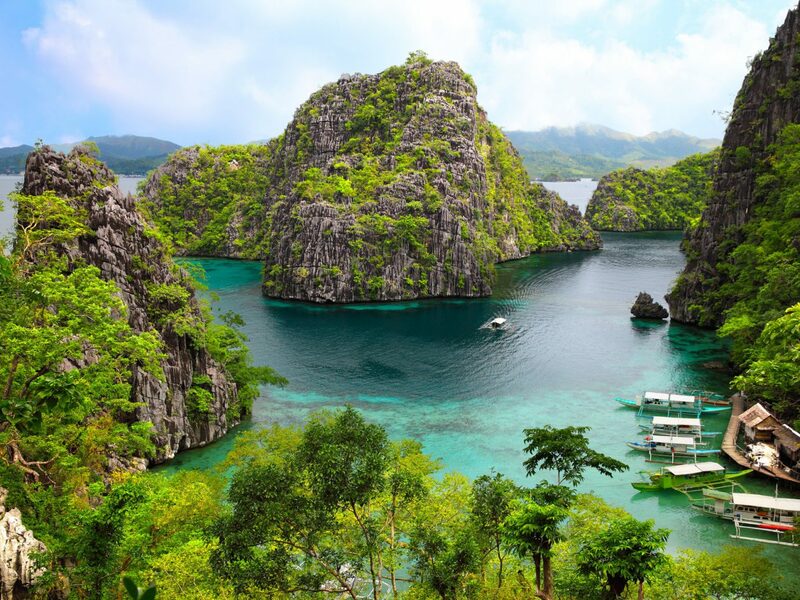 No matter where you are in Palawan, outdoor activities are the main draw—hiking, diving, and island-hopping all among the most popular. If you're keen on following an itinerary, do yourself a favor and reserve a day to paddleboat to the limestone karst-landscape that is the Puerto-Princesa Subterranean River. Santorini. Mykonos. Crete. 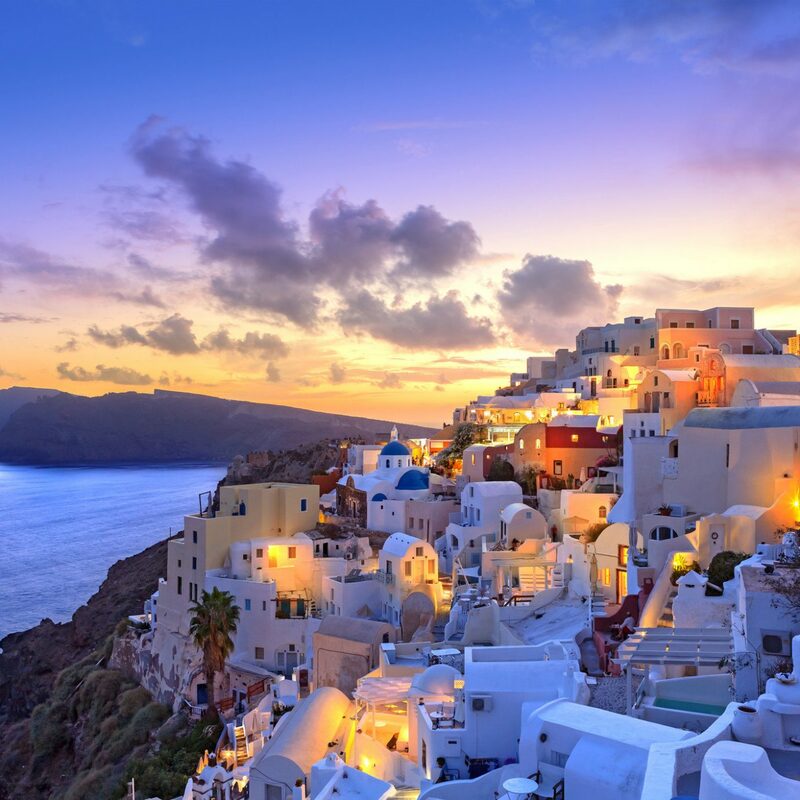 Greece is home to 227 inhabited islands across the Aegean and Ionian Seas, yet these three steal the spotlight every time. 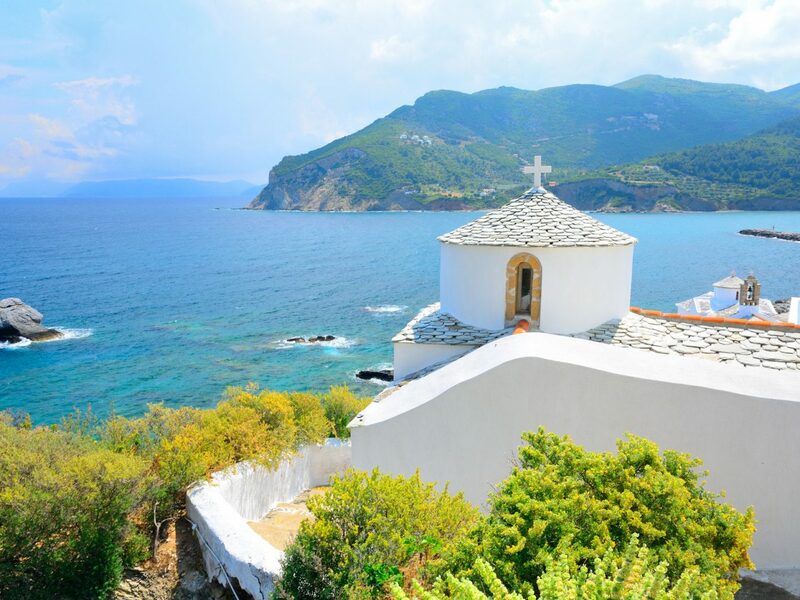 Skip the crowds for Skopelos, just an hour ferry ride from Skiathos, where you'll find unspoiled coastline, charming blue-roofed tavernas, and Byzantine-era monasteries. Rent a private villa with terraces overlooking the cerulean Aegean at Adrina Resort & Spa (trust us, you’ll never want to leave). Skopelos Town’s terracotta-tiled buildings house romantic garden restaurants like Perivoli and joints like Antolia, where locals come to listen to live rebetika music. On the northwest tip of the island, the quaint village of Glossa offers the best vistas, especially at Agnanti, whose cliffside deck serves Greek classics of kleftiko (leg of lamb) and stifado (beef stew). The twin islands of St. Kitts & Nevis pack a one-two punch of postcard-perfect beaches, mountainous coastlines, and relaxed Caribbean cultures. But in lumping the two together (they're technically one nation), Nevis gets overshadowed by its larger sister island. Despite its petite size, this colonial beauty has plenty to its name, starting with the Four Seasons Resort Nevis and its three infinity pools, cabana-style accommodations, and wraparound verandas all resting at the base of Mount Nevis. 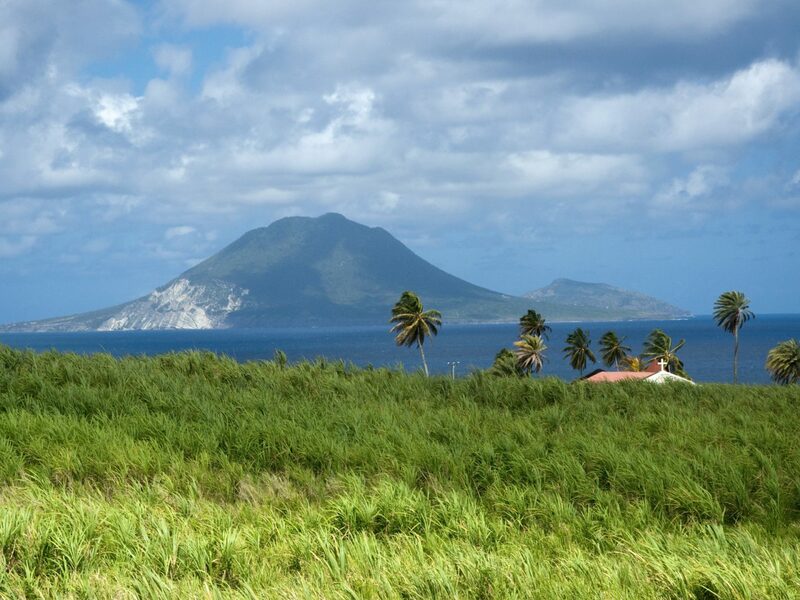 During the day, mosey around the botanical gardens at the Montpelier Plantation & Beach or brush up on the history of Nevis' sugarcane industry and the life of Alexander Hamilton (it's his birthplace) at the Museum of Nevis History. At sundown, follow the torch-lit path up to the plantation-style Bananas Bistro & Art Gallery, which is tucked away in in the palm gardens of Hamilton Estate, and pair a passionfruit martini with the local catch of the day. Looking for a nearby escape that feels far-flung? 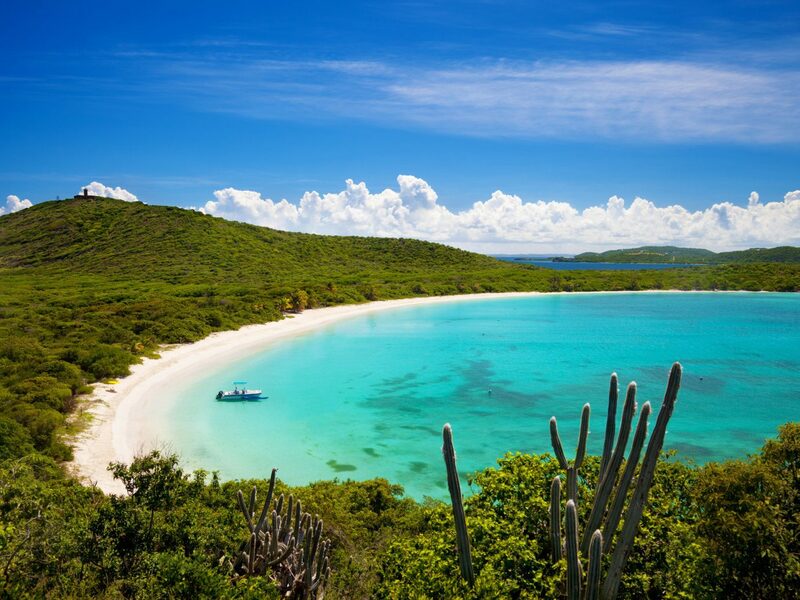 The sleepy isle of Culebra, 20 miles east of Puerto Rico, is just the ticket. While its sister Vieques takes the attention, Culebra is adored for its ten untouched beaches, lush wildlife preserves, and the tiny town of Dewey. The canary-yellow cottages at Club Seabourne serve as your crash pad by Fulladoza Bay. From here, hit the crescent-shaped shore of Playa Flamenco to snorkel with sea turtles and tropical fish, before noshing on Puerto Rican street food like pinchos, chicken kebabs and alcapurrias (fried plantain stuffed with crab or beef) at the beachfront shacks. Still hungry? Zaco’s Tacos dishes up mean pork belly, seared tuna, and carne asada tacos topped off with a hibiscus margarita. 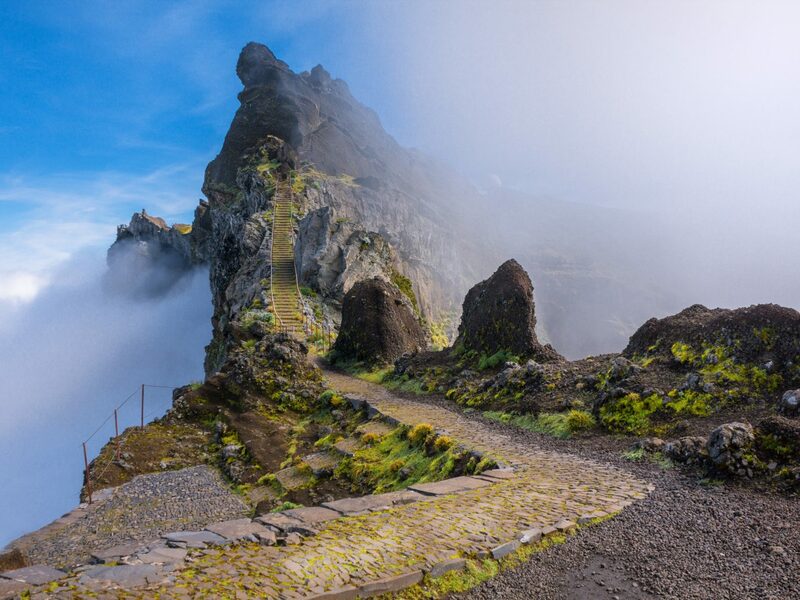 While tourists flock to the Canary Islands, the Portuguese Azores remains a remote locale. The archipelago is Europe’s answer to Hawaii—each of the nine islands has a low-key vibe and a rugged landscape to match Kauai—except for its affordable price point. On the main island of San Miguel, the two best places to sleep are Quinta do Mar, an inviting B&B in the hills along the coast, and Terra Nostra Garden Hotel, an upscale resort next to the botanical gardens. 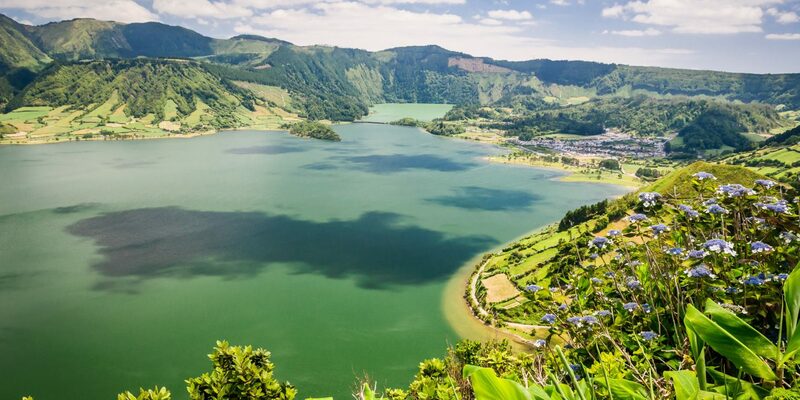 To experience the island’s wild side, book a whale- and dolphin-watching tour, hike the hydrangea-lined path to the jade Sete Cidades caldera, or swim under jungle-like waterfalls and soak in hot springs at Caldeira Velha. When hunger strikes, taste some petiscos (Portuguese tapas) and a glass of white wine (for only 1 euro a pop!). Our favorites include the no-frills fresh fare at Mané Cigano (think hearty portions of fried mackerel and grilled octopus), the tasting menu sourced from Quinta dos Sabores’s organic garden, and the slow-cooked cozido (meat and veggie stew) at Tony’s. Polish it off with a mojito and live music at Arco 8, a hybrid art gallery, performance space, and café. 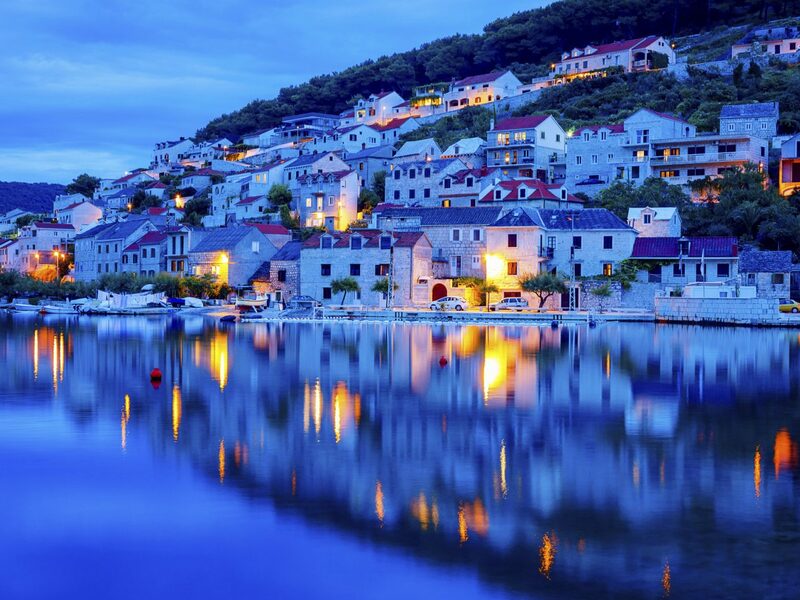 Out in the Adriatic, the island of Brač, Croatia beckons with white-pebble beaches, enchanting resort towns with labyrinth-like streets, and proximity to Split (just a ferry ride away). If you like your accommodations homey, the sea-view Villa Giardino in Bol with a private garden, English lawn, and homemade breakfast on the terrace is your go-to. For a more stylish stay, the modern, five-suite boutique Hotel Bol delivers with a Finnish sauna, lobby bar, and private guest room balconies. Dining Dalmatian Coast-style, book ahead at Konoba Kopacina in Donji Humac. Their Brač specialties like lamb cooked on a spit and fresh skuta (sheep milk cheese) with honey are worth the short drive inland from Bol. 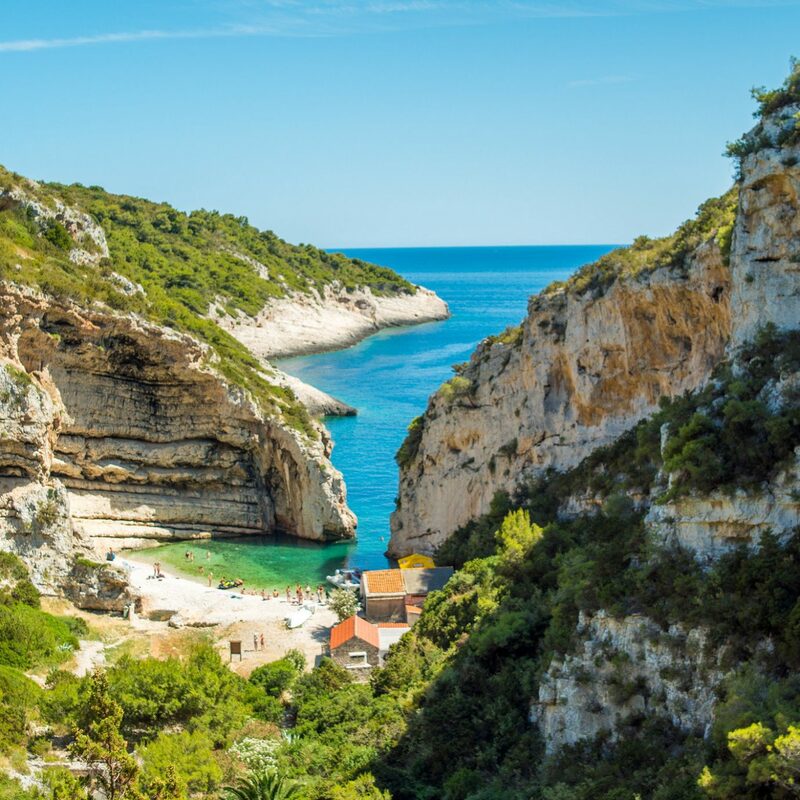 Before it's time to head home, hit the Zlatni Rat Beach, known for its V-shaped pebble shore, and squeeze in a trip to Škrip, where 11th-century stone buildings mark Brač's oldest settlement. Next to its flashy sister, Ibiza, this small Balearic isle is the laid-back Spanish sibling. Yes, there are pockets of glitz—you’ll occasionally spot celebs like DiCaprio and De Niro parking their yachts in front of swanky eateries Juan y Andrea, Es Moli de Sal, and Beso Beach—but there's also a calmer side of hidden beaches and local watering holes. 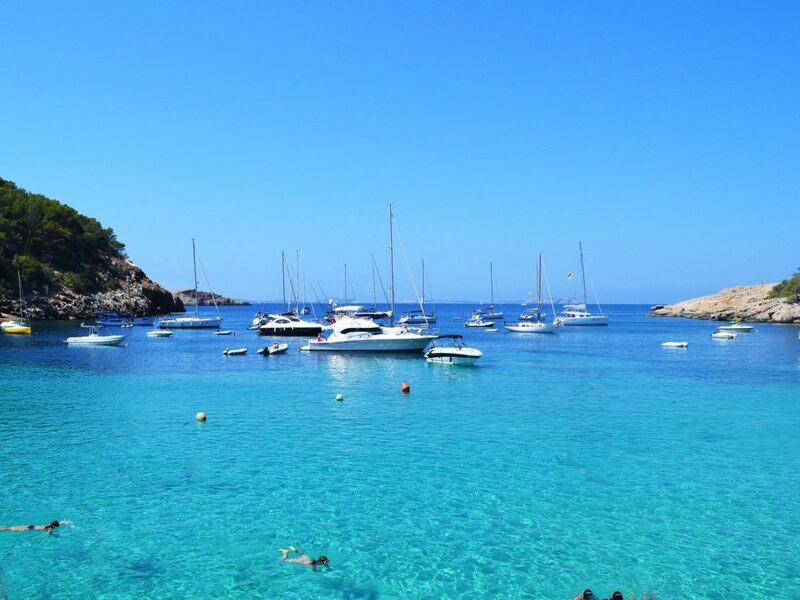 Hike to the secluded cove of Calo des Mort, where you can dive into crystal clear turquoise water, followed by squid-ink paella and sangria at Can Forn. While you won't find any nightclubs here, tiny Can Toni is known for its live flamenco music while Can Carlos’s garden terrace and Chezz Gerdi’s chic sofas in the sand are perfect spots to sip sundowners. At the end of the evening, retreat back to the stylish Gecko Beach Club, a boutique resort with 30 rooms and a red-hot pool scene. Honestly, we’re shocked that Porquerolles Island has managed to maintain such a low profile given its swanky Cote d'Azur address. 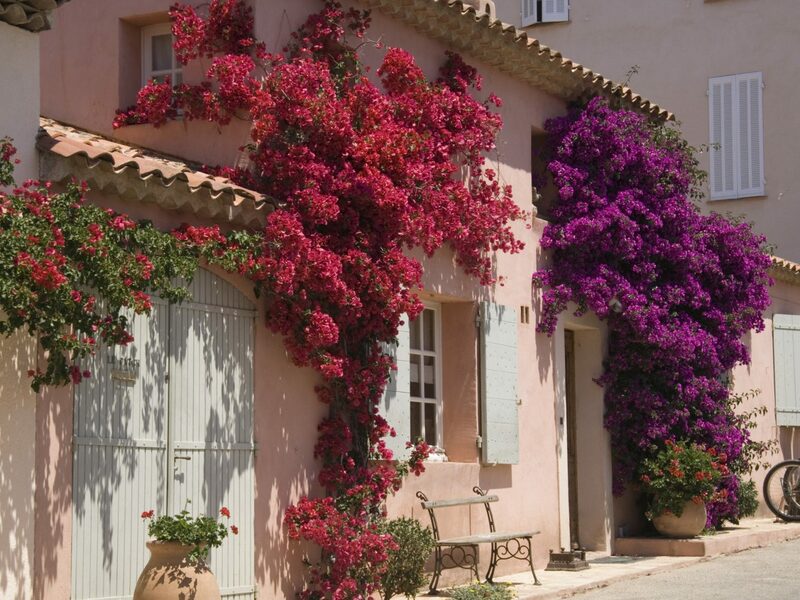 Set along the coast, just between the jet-setting crowds in Marseille and Cannes, the little island—one of three that makeup the Iles d’Hyeres—is beloved by the French but virtually unknown to everyone else. Your visit calls for a stay at Villa Sainte-Anne—a 1911 historic guesthouse that was once a groom's gift to his bride (fellas, take note). 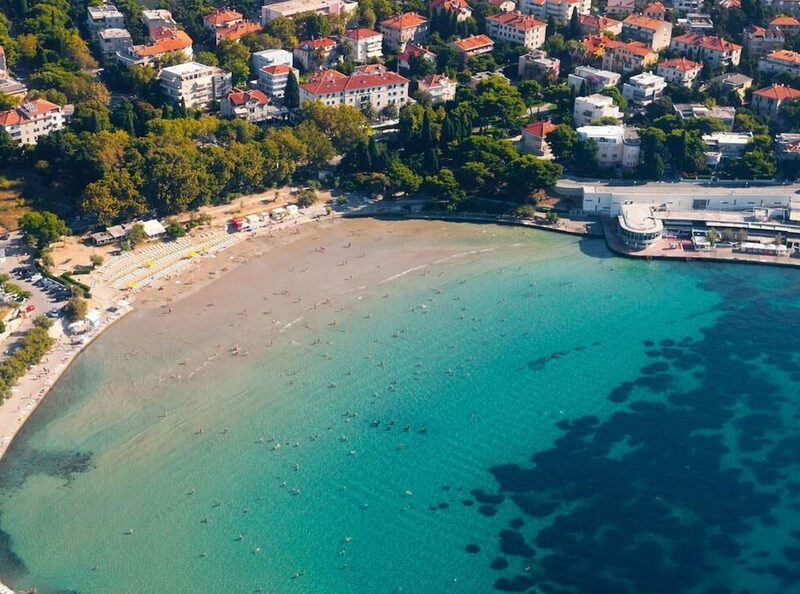 From the centrally located Plaza d'Armes pad, holiday-makers flit between delicate beaches on the north coast (primarily the shallow waters of Plage de Notre Dame and the more sheltered Plage du Langoustier) before hitting the pétanque pitches back in the square before dinner. Ask around and you'll find that the best tables are found on the terrace at tapas-style Le Pelagos, whose seafood-centric menu includes grilled squid and seared tuna steak. Renowned for its unspoiled beaches, craggy shoreline, and exotic wildlife, La Digue is popular among fashion photographers and Hollywood location scouts. 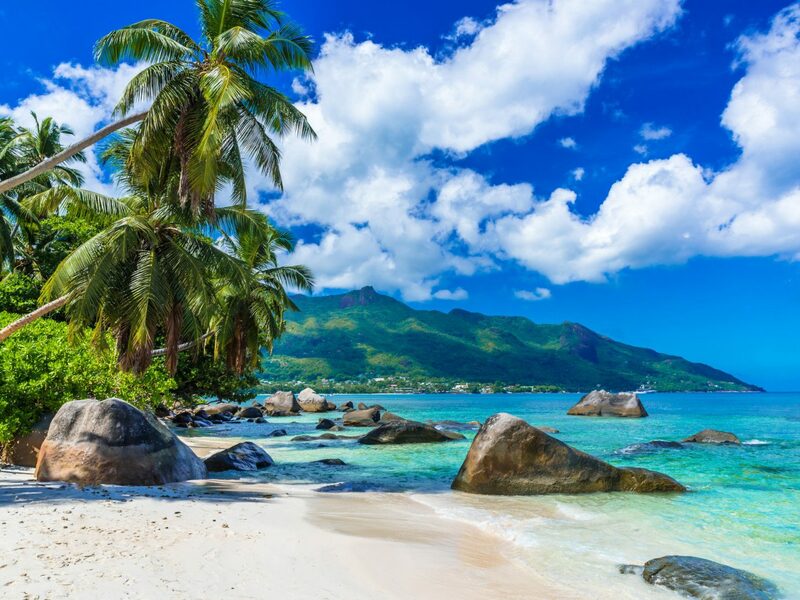 Anse Source D’Argent, the isle's gorgeous powdery pink-sand beach, has served as the backdrop for movies like Castaway and Robinson Crusoe and is said to be the most photographed stretch of sand in the world. While getting to the remote isle requires a rocky hour-long boat ride from neighboring island Praslin, once you've arrived, it's all about a total immersion in nature. The island is virtually car-free and requires bicycles to explore its myriad attractions. On your hit list: Tarosa Takeaway, a buzzy eatery with Creole fare; the isle's decaying old cemeteries, which, rumor has it, is where scores of pirates are buried; and L'Union Estate, the largest vanilla plantation left in Seychelles. Check in at the historic La Digue Island Lodge, which has thatched-roof bungalows and a 19th-century colonial. 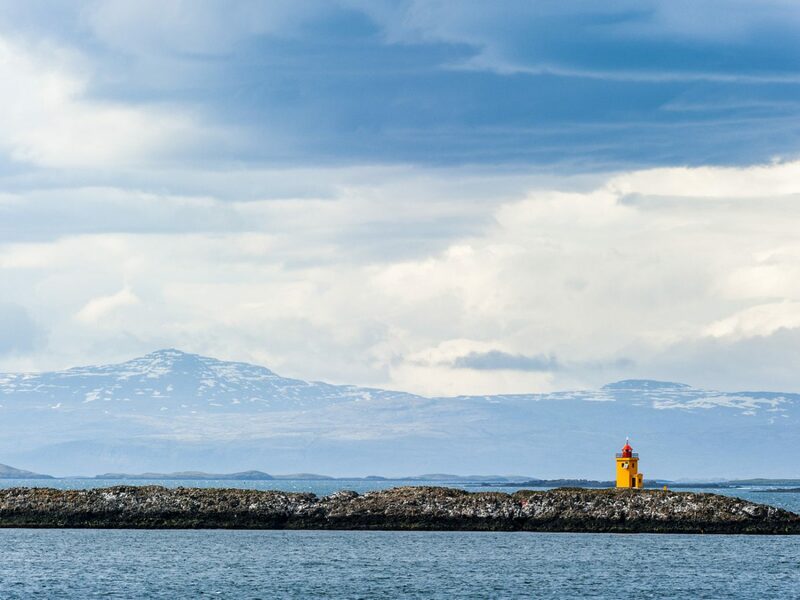 Only five people live on this small island in Breiðafjörður bay during the winter. But come summer, professional photographers and videographers flood the area, capitalizing on the 21 hours of sunlight the scenic spot gets per day. Stroll the small village and take in views of the lovingly restored old houses, verdant hills and abundant migratory birdlife (think puffins and arctic terns). You’ll want to set aside a few hours to peruse the book collection at Flateyjarkirkja, the town's historic church with the oldest and the smallest library in Iceland. 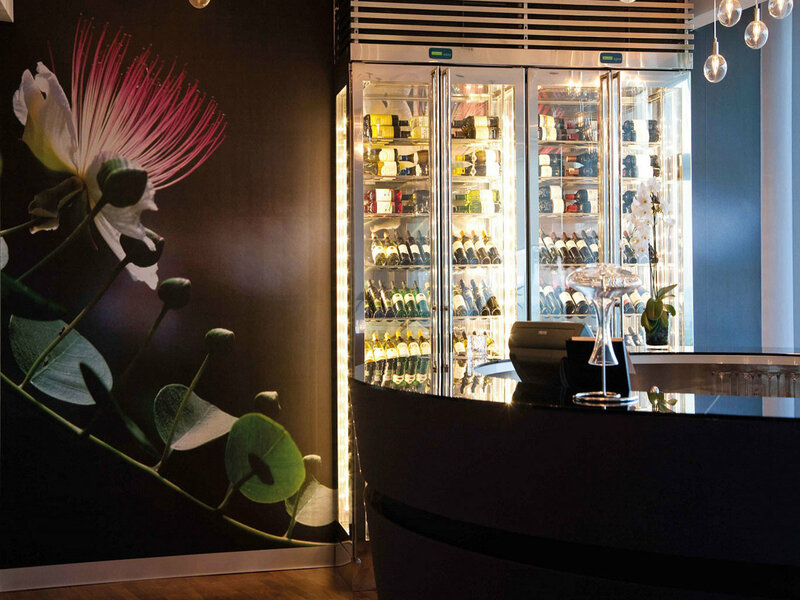 Once you've worked up an appetite, dig into a blue mussels and local caviar at the restaurant at Hotel Flatey. The quaint boutique hideaway has colorful guest rooms with spacious balconies with views of the surrounding bay. 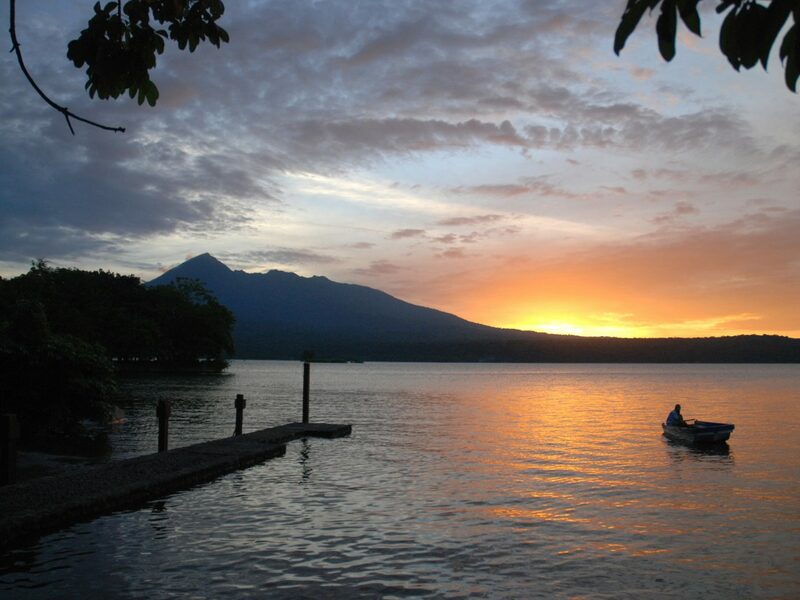 If there were a place to unplug, unwind, and get off the grid entirely, it’d be Jicaro—a tiny isle in the middle of Lake Nicaragua, just off the coast of Grenada. There’s not a single TV set on the entire island and you’d be hard-pressed to find a WiFi signal, but there are more than enough attractions to keep you busy. Paddle out with a guide to explore the surrounding the freshwater lake and you’ll spot howler monkeys, lake turtles, and many of the area’s 87 bird species (don’t forget your binoculars!). Or, for a more adrenaline-filled excursion, zip line through the jungle canopy using harnesses and pulleys as high as 100 feet above the forest floor. The Jicaro Island Ecolodge is a sustainable retreat with a lakeside spa, yoga classes, and organic dining. Ask the front desk about arranging a "sustainability tour" of the hotel grounds; it offers an in-depth look at the island's natural flora and fauna. San Andrés is a duty-free shopping zone, making it a favorite travel destination among Colombian city-dwellers. 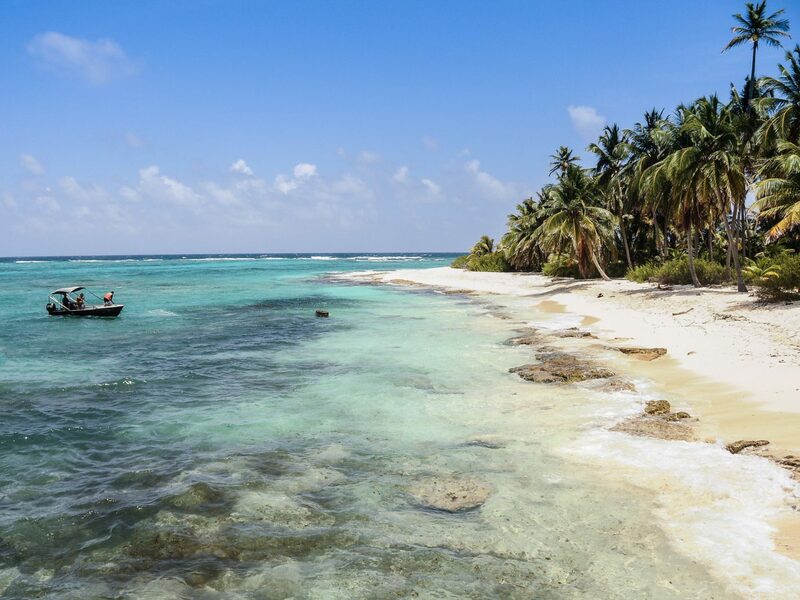 However, in recent years, the tiny archipelago has also seen a rise in tourism from foreign visitors, who come for the glittering white-sand beaches, the best diving in Colombia, and the area’s unique Raizal culture, best known for its reggae and calypso music. Rent a bike and pedal along the town’s charming brick promenade, which is lined with coconut palms and colorful storefronts, and stop for lunch at Fisherman Place, a lively, open-air restaurant that serves the local catch every day at noon. The nearby Sharky Dive Shop can arrange diving lessons at one of the island's more than 35 dive sites, which includes caves and shipwrecks. Poolside R&R more your speed? Park yourself in a poolside hammock at Sunset Hotel, a colorful oceanfront hideaway with 16 bright guestrooms and a casual eatery with local-inspired bites.